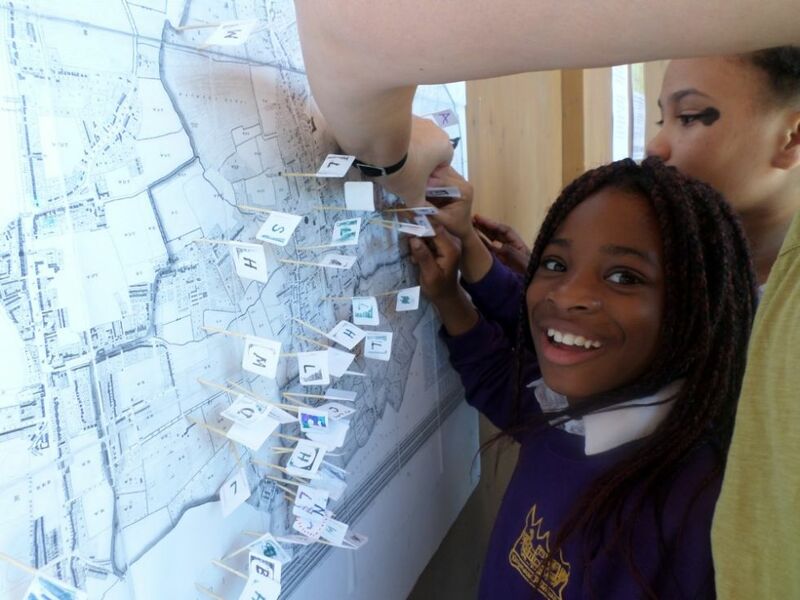 My Hackney is a whole school project across both Kingsmead and Gayhurst primary schools. Art is used as a creative response to the local area and values we share: Hackney values, British values, Global values, Human values. 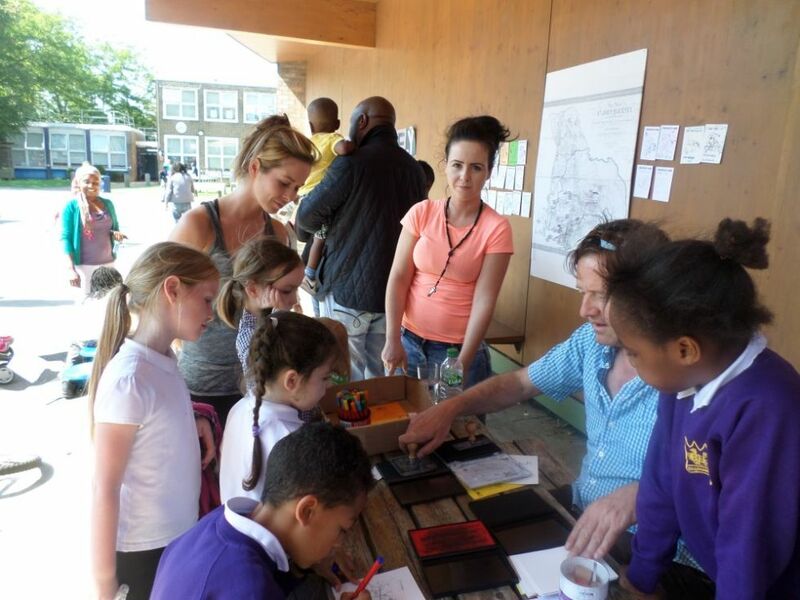 Children from all year groups from both schools made artworks that explored the local area and expressed themselves. 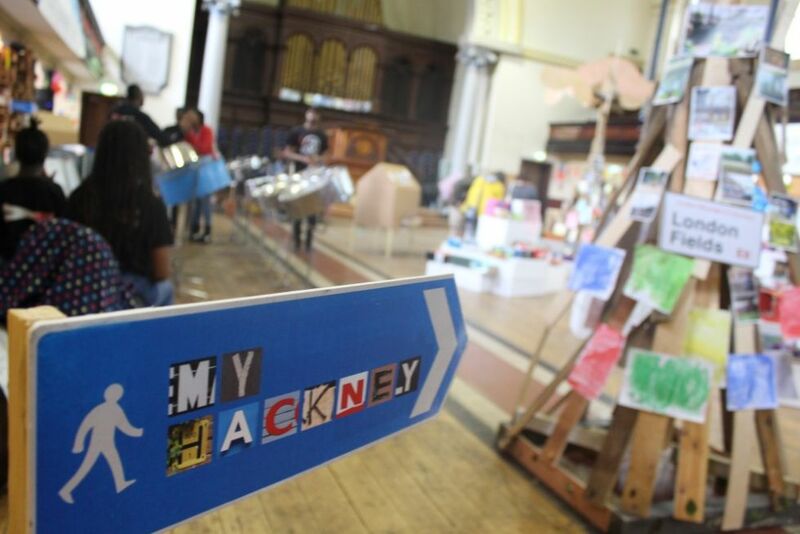 These were exhibited in the Roundchapel as an enormous 3D map of Hackney during the annual Hackney Music Festival. Artworks from over 1000 children & artists filled the beautiful Heritage building. 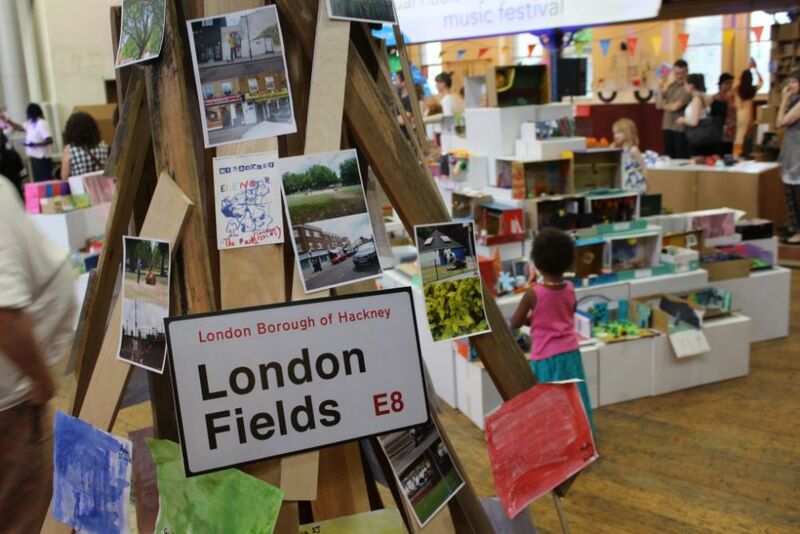 Diverse model boxes of children’s favourite places in Hackney. Beautiful stained glass images of people who help us. Photos, soundscapes & leaf prints from the local parks. 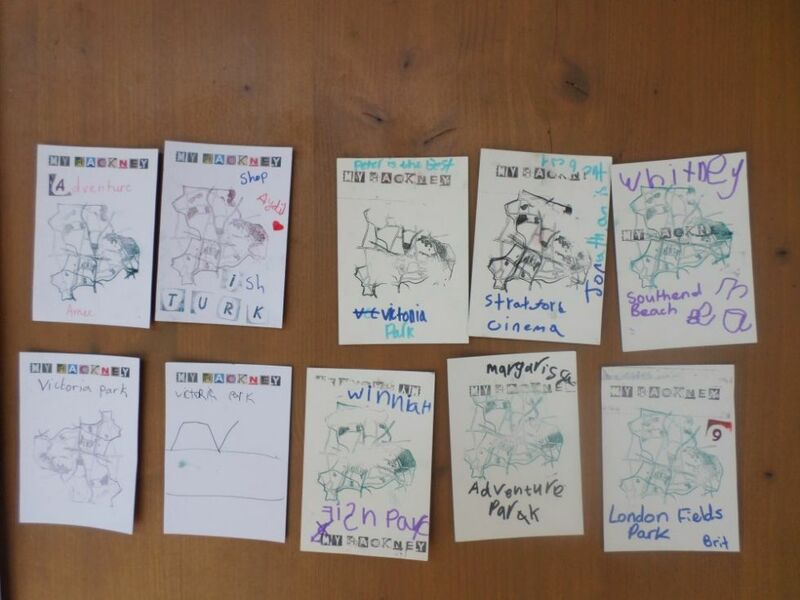 Documentary and animated films made by the children about how we use our local parks. Letters exploring the different journeys of people who arrived here from elsewhere, inspired by exhibitions at the Hackney Museum. 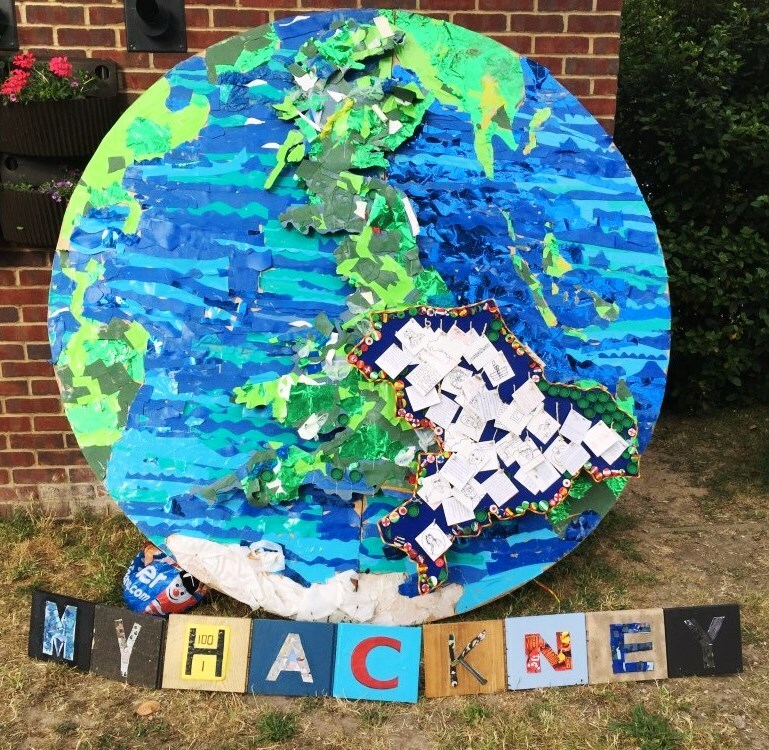 A huge globe made out of recycled materials focusing on Hackney’s place in the world. Spoken word poems about the values of Liberty & Tolerance in Hackney recorded on MP3 players. The project made links with local arts organisations like the Hackney Museum, Hackney Music Service, Barbican Guildhall and Hackney Empire. We continue to connect creative activity with local cultural opportunities and develop a relevant local area curriculum. We are grateful to the many parents who contributed creative skills to develop the artworks. 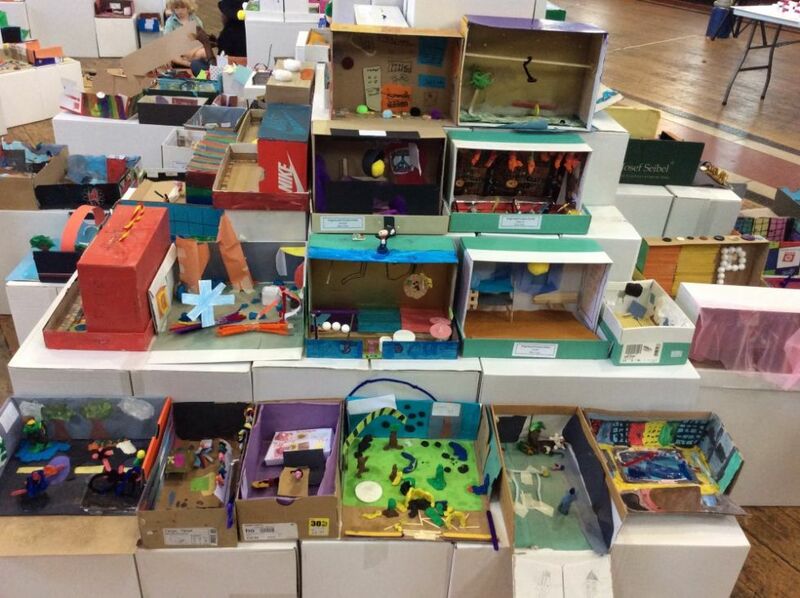 The project has stimulated several great creative collaborations between the schools and the parent community. We will be running the My Hackney project again, hopefully in the Autumn term. If you have skills you can offer please get in touch.